Originally used by bodybuilders and powerlifters exclusively, extreme athletes all over the world are now discovering the benefits of adding Tribulus to their supplement arsenal. Test-Stack goes beyond conventional Tribulus products by standardizing each dosage for 45% Steroidal Saponins - one of the highest standardized amounts you’ll find anywhere! Ultimately what distinguishes Test-Stack is its three proprietary blends. 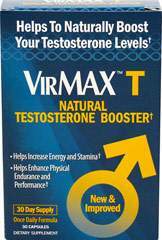 It combines a Pro-Test Complex, a Flavone Complex and a Balancing Complex - utilizing the most popular ingredients for men on the market. We’ll provide the edge - if you’re willing to step up to it. Tribulus Terrestris can be found throughout Asia, where it has long been popular with bodybuilders. Tribulus Terrestris is lab-tested for 40% saponins per serving, one of the highest standardized levels available on the market today! As an herb traditionally used by men, Tribulus Terrestris is the perfect complement to your active lifestyle.